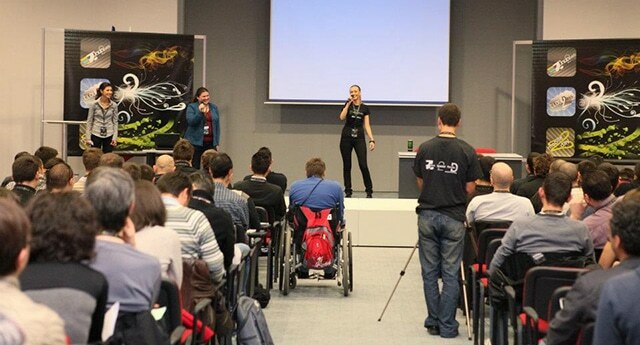 Java2Days is the 1st international Java conference in Eastern Europe established in 2009. 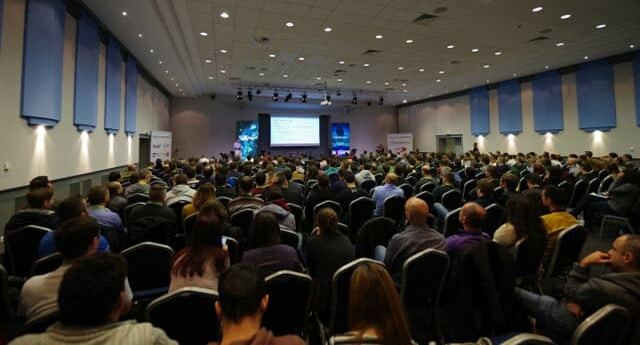 During the years Java2Days took place as the premier Java event on the Balkans and now Java2Days is a must-attend conference for anyone in the Java development area. 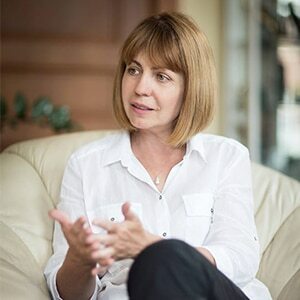 Yordanka Fandakova is Mayor of Sofia from 2009. 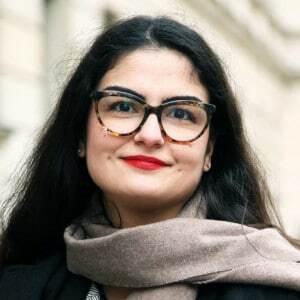 Her previous positions include Member of Parliament, Minister of Education, Youth and Science, Sofia Deputy Mayor for Culture, Education and Sports. Prior to that she gained rich 20-year experience in the area of education as a teacher and as a school principle. 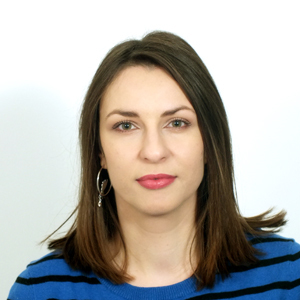 Mrs. Fandakova holds MA in Russian Philology from Sofia University and Pushkin Institute in Moscow. She has additional qualifications in the spheres of management of education, business administration, political management. She speaks Russian and English. 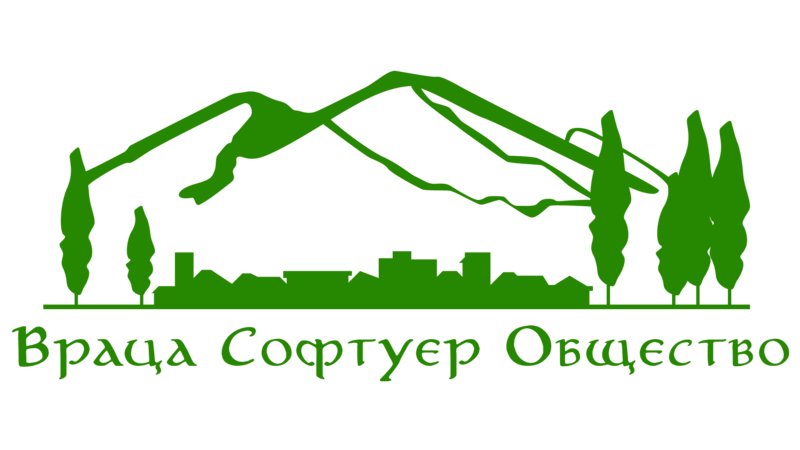 Mrs. Fandakova’s priorities and achievements during her mandates as Mayor of Sofia include fast development of city infrastructure, free and fast internet coverage in public spaces, environment, education, better conditions for doing business in Sofia. 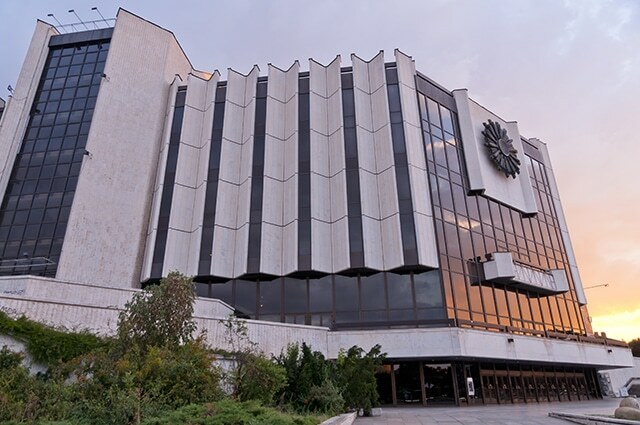 During her term in office Sofia became one of the 30 fastest developing cities in the world and the European capital city with the biggest GDP growth in the last 10 years. 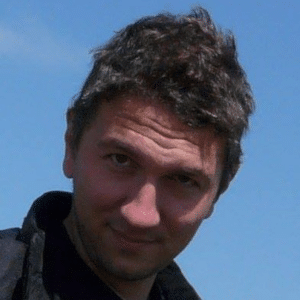 Dr. Pavlin Dobrev is a Research and Development Manager at Bosch Software Innovations. The company owned by Bosch is focused on developing software for the Internet of Things (IoT). 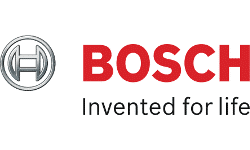 He is charge for the Quality Management of the Bosch IoT Suite, the entire support of ISO 9001, ISO 20000 and ISO 27001 at Bosch Software Innovations, as well as various research and customer projects. 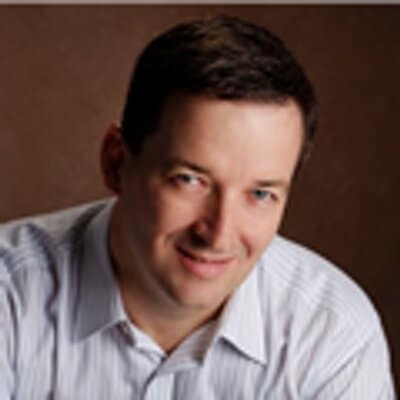 Dr. Dobrev has more than two decades of experience with IoT including latest Java technologies, as well as in OSGi and embedded systems. 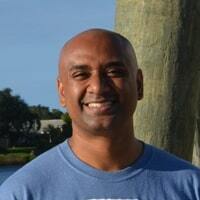 He is an active participant in the OSGi Alliance, Java Community Process and other technical standards groups. 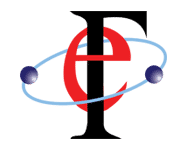 He is a member of the Eclipse Foundation and participates in the development of the Eclipse IDE as a committer in the Equinox project. Have we discovered the Holy Grail of business models for the Internet of Things, the killer app? Does every product need to be connected via a smartphone app? Have, as predicted, billions of devices already been connected? And what will come after the IoT hype is over? In his keynote address, Dr. Pavlin Dobrev traces Bosch’s route to the Internet of Things and its attendant evolution to an IoT company. For Dr. Pavlin Dobrev, the year 2018 marks a turning point: connectivity has finally reached the corporate sector and is now being increasingly commercialized. He believes that the hype surrounding IoT is over – but the excitement is not about to cool. According to a new study, one in two companies is planning to introduce an IoT platform this year. In the past, IoT was the subject of individual task forces and special projects, but now it is set to become an integral part of enterprise infrastructure, product portfolios, corporate strategy, and organization. Sudan Jackson has been working in REWE Digital’s technology division since 2016, where he is responsible for cultural and organisational development. The focus is on actively designing collaborative environments to enable modern, innovative, creative, and customer-focused solutions. And although “Manager” is part of his current title, it only says a little about what he actually does. Sudan is a person who is inspired every day to improve people’s (working) lives. He is a certified coach and trainer, and a welcome speaker at conferences. Sudan has over 20 years of experience as a personnel developer, project manager, IT consultant and business coach with internationally operating and leading companies where he was responsible for major projects in change management, leadership development, and in the organizational/transformational context. He has also designed and implemented successful leadership, empowerment and talent management programs. He is very interested (and enjoys it a lot) in discovering new ways to modernize these topics. Working with people and helping others to do great things with his help that are not yet imaginable… This is a task with which he strongly identifies. 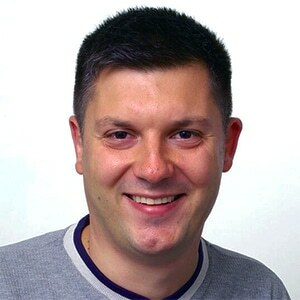 Atanas Kiryakov (LinkedIn) is the founder and CEO of Ontotext – Semantic Web pioneer and vendor of semantic technology. 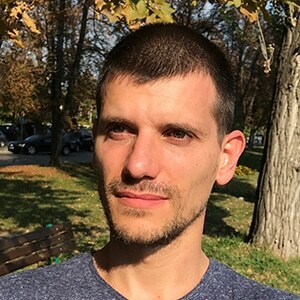 Atanas is member of the board of the Linked Data Benchmarking Council – standardization body, who’s members include all major graph database vendors. 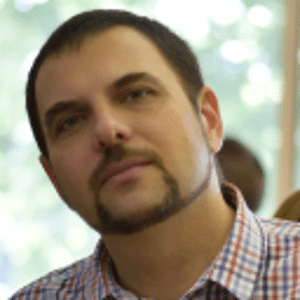 Atanas is an expert in semantic graph databases, reasoning, knowledge graph design, text mining, semantic tagging, linking and search. Author of signature academic publications with more than 2500 citations. 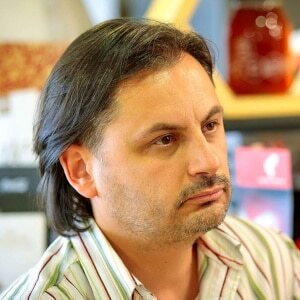 Until 2010 Atanas was product manager of GraphDB (formerly OWLIM) – a leading RDF graph database serving mission critical projects in organizations like BBC, Financial Times, Nikkei, S&P, Springer Nature, John Wiley, Elsevier, UK Parliament, Kadaster.NL, The National Gallery of US and top-5 US Banks. 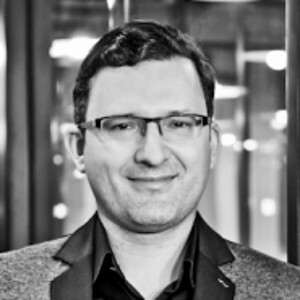 As CEO of Ontotext, Atanas supervised multiple high profile semantic technology projects across different sectors: media and publishing, market and investment information, cultural heritage and government. Responsible for PROS Travel product strategies, Surain Adyanthaya collaborates with clients to develop and shape airline solutions that address their key industry needs. Surain has held various roles at PROS including head of R&D. With PROS since 1993, Surain works closely with product development in his current leadership role of product innovation and strategy. Egyptian American entrepreneur-turned investor Ahmed Shabana is the current managing partner of the $150 million fund one Parkpine Capital, the U.S.-based venture capital firm he formed with partner Billy Zane most known in Hollywood for the movies Titanic and The Phantom. Launched in 2016, Parkpine has offices in Los Angeles and Menlo Park. 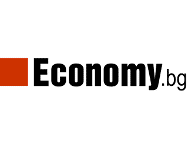 Ahmed is recognized as a high impact entrepreneur by the Wall Street Journal and The Financial Times by founding the Middle East’s first & Africa’s first eCommerce portal and online pharmacy, Agzakhana.com, generating millions in sales turnover while overcoming the economic and commercialization obstacles of the region. Moreover, Ahmed was able to raise capital from Vodafone Ventures and help fundraise for a number of Healthcare, BigData, and SaaS startups of over $800M in combined valuation. Ahmed holds an MBA from the the University of Southern California, where he was inspired to form Parkpine as a way to improve access to funding and resources for tech entrepreneurs on a global scale. 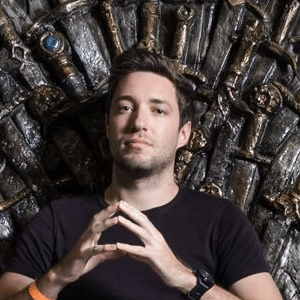 He funded the Global Ventures Summit to connect influencers of the highest growth startup ecosystems in the world. 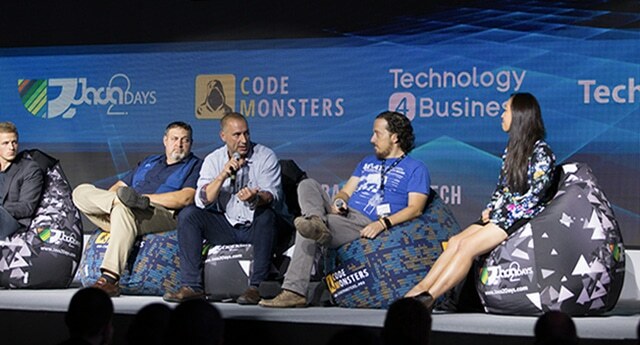 The Summit enables innovative startups to access venture capital professionals, funded technology startup founders, and policy makers in the freshest tech scenes on the planet. Parkpine’s fund will target post-revenue investments in early-stage technology ventures in growing markets around the world. The fund has a broad mandate invests in tech companies with business models that can be replicated in different markets. 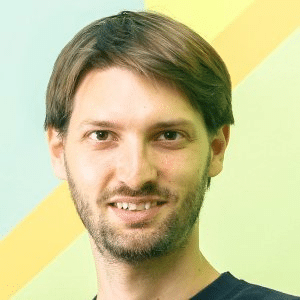 Delyan Lilov is founder and CEO of Musala Soft JSC, leading software services company specialized in some of the most challenging industries worldwide like Cloud Integration, API Management, Augmented Intelligence, BigData, Digital Engagement and IoT. 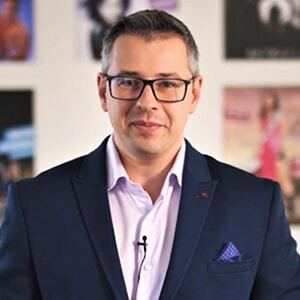 As a CEO of Musala Soft for more than 18 years, Delyan Lilov is responsible for defining the corporate strategy, managing operations and participating in key clients` management. His experience, professionalism and business views lead Musala Soft as a reliable, prestigious and long-term partner for innovative and trendsetting enterprises such as: IBM, Tsystems, VMWare, Experian, SAP, Atos, Cellent, Milestone, UGT, Deutsche Telekom, Telenor, A1, Vivacom, OTP Group, KBC, DZI, Commerzbank, Generali, Bulgarian Guarantee Fund, Visa, Telus Health, Telus International, ESG, Phillip Morris, Edoardo Miroglio, etc. Committed to lifelong learning, knowledge sharing and a high degree of personal involvement, Musala Soft successfully develops its people and enlarges its offices in Macedonia and Bulgaria. 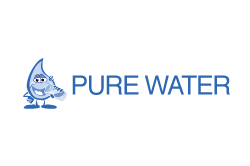 The company is a proud winner of multiple national and international honors and recognitions in Talent Development, Science and Innovation, Quality of Software Solutions, Leadership and Corporate Social Responsibility. Meadows is an American author, inventor, artist and entrepreneur. With 18 years in AI, 22 in VR, and 7 years in blockchain he has designed and developed AI applications at some of the world’s top research labs (Xerox-PARC, SRI, Waag, and others). He has worked as a government-level consultant in both hemispheres, is the author of a half-dozen patents, and has written four books that examine technology and their social consequences. 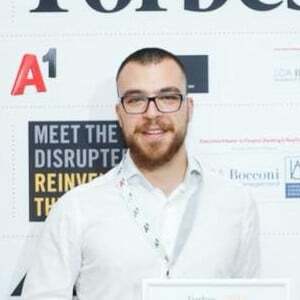 As founder / CEO of Botanic.io and co-founder / Trustee of SeedToken.io, he leads the vision of the companies by inventing new methods of computer-human interaction, designing the hearts and minds of highly social software robots. This presentation looks at conversational user interfaces (CUIs), how they will be coupled with blockchain and AI, and their impact on our near future. Popular CUIs are Alexa and Siri. As these systems collect more user data, which is used to train AI systems, we need to consider several key issues, including: trust – who is responsible for these bots; privacy – who has access to my data; and ethics – what is my data being used for? We look at solutions, why blockchain is needed to solve problems AI introduces, and ways to provide maximum value to all stakeholders. Kai Hackbarth has been working as an evangelist at Bosch Software Innovations since July 2016. He previously worked at ProSyst Software, which Bosch acquired in 2015. 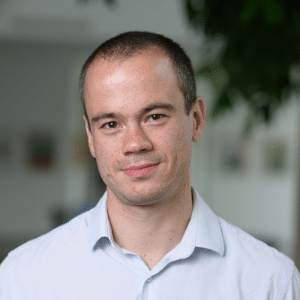 Kai Hackbarth plays a pivotal role in technical standardization in the OSGi Alliance, of which he is also a Board of Directors member. 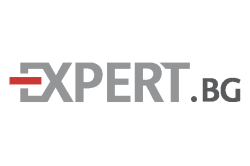 He served as Co-Chairman of the OSGi Residential Expert Group from 2008 to 2018. Kai Hackbarth furthermore coordinates a wide range of Internet of Things (IoT) research projects. 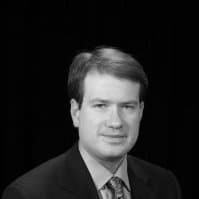 He specializes in smart homes, automotive applications, and the IoT. 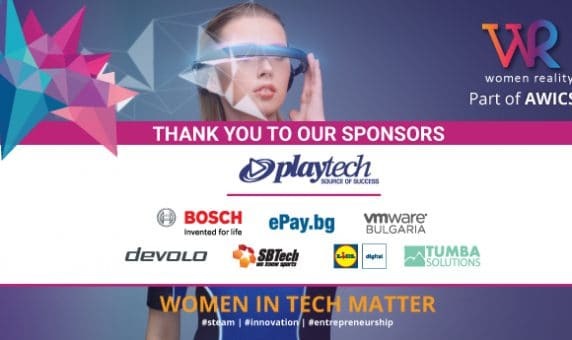 Last but not least, he closely follows the latest trends in these three sectors and provides regular guidance on the strategic positioning of the corresponding product portfolios at Bosch Software Innovations. For some of us the IoT journey started almost 20 years ago. The term “Internet-of-Things” was not even invented at that time. The world of Java was also much different with just a few big player especially in the Web- and Enterprise-world. Except for Java CLDC enabled mobile phones you rarely found Java in embedded devices. In 1999 the OSGi Alliance started its mission to specify a Java based, modular software architecture for gateways enabling to connect devices in smart homes or offices. The fact that the OSGi framework was Java-based and also an open standard made the adoption difficult in the beginning. Fortunately the world of technology has changed significantly over the years. IoT is mainstream in many domains, others are in a phase of adoption. This presentation will compare the challenges of adopting IoT technologies today vs. 20 years ago as well as our strategy to tackle this challenges. 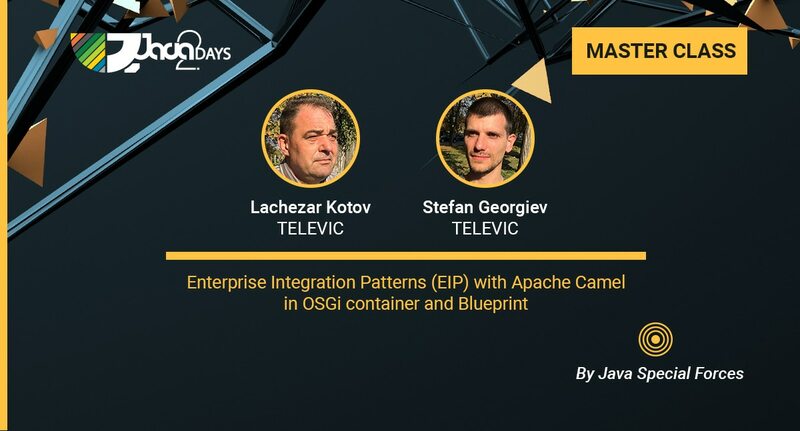 Furthermore this presentation will focus on the role of the OSGi Alliance and Eclipse Foundation as well as how we use these technologies to build an open end-to-end IoT ecosystem. This presentation will conclude with some practical examples where these technologies are already deployed. 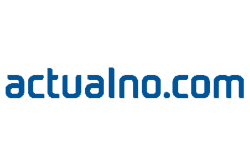 Software Engineer with professional experience across various technologies and verticals, designing software architecture and developing large scale enterprise systems. 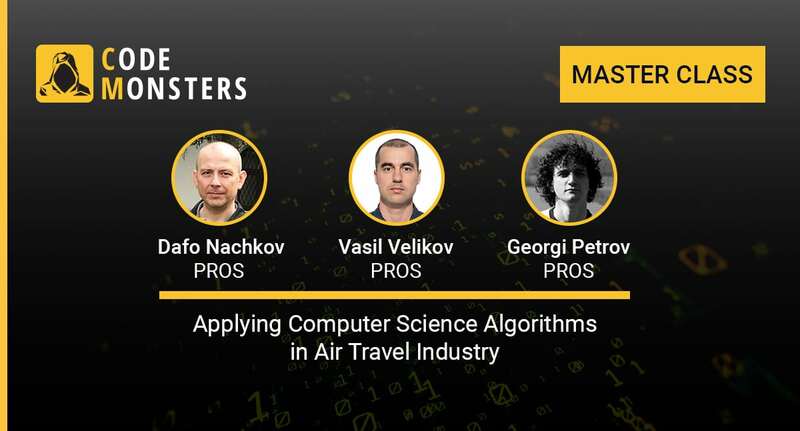 Specializing and holding masters degree for search systems and machine learning. Microservices are becoming a de facto standard for software architecture. Business demands to shorten time to market and the constant needs to roll quick updates are primary advocates for microservices. Microservices showcased they are the appropriate approach to roll fast releases. However, microservices introduce a lot of complexity that might represent a trap for inexperienced teams, that might easily cause a completely opposite effect. Without appropriate design the code can become even worse that the dreaded monolith and the releases will suffer continuous delays. Microservices require discipline, experience and broad technical knowledge in order to successfully incorporate them in practice. In this talk I’m about to present how not to fall in the traps accompanying this approach. 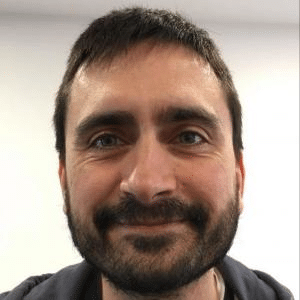 Simon Stone is the lead engineer for the IBM Blockchain Platform developer experience team, based near Winchester in the UK. 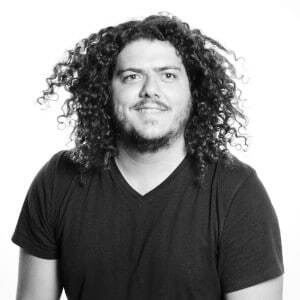 Simon’s primary focus is on making blockchain accessible to all developers, by giving developers the APIs, SDKs and tools that make it easy for them to build blockchain applications. One of the teams key belief is that choice of programming languages and tools is paramount, and the IBM Blockchain Platform provides developers with access to Java smart contracts, Java client SDKs, and RESTful APIs that can easily be integrated into any Java environment. Simon is also a significant contributor to open source blockchain projects under the Linux Foundation Hyperledger project, including Hyperledger Fabric and Hyperledger Composer. There’s no doubt that Blockchain is a rapidly growing and evolving technology. If you work on Enterprise systems then there’s reasonable chance there’s a use case where Blockchain could help. This session will help you understand Blockchain and how your Java skills apply. The session will provide an introduction to Blockchain along with use cases. 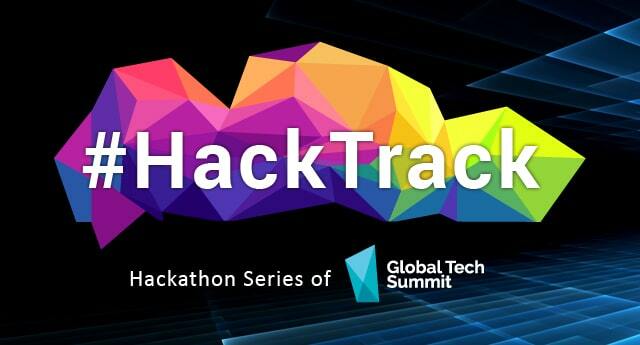 With the aid of relevant demos and the Linux Foundation’s Hyperledger Fabric & Composer projects, you will learn how to get started with Blockchain technologies, develop and deploy Blockchain applications, and integrate with them from your favorite Java environment. Dirk Van Den Wouwer (M) holds a Masters degree in Micro Electronics. 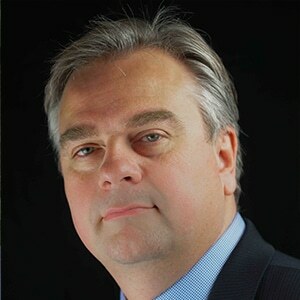 He is currently Director R&D and Product Management at Televic Rail NV where he leads different international R&D teams. 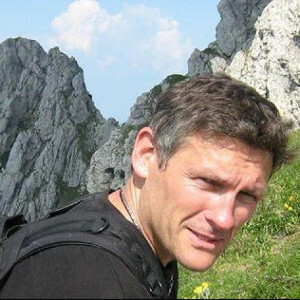 Dirk has been involved in several nationally and internationally funded research projects. 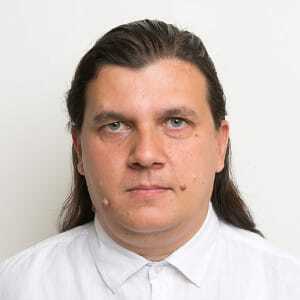 Before joining Televic Rail ten years ago, he was R&D Director at Gemidis NV, a spin-off company of IMEC, which is one of the world’s leading organizations for R&D in nanoelectronics and digital technologies. 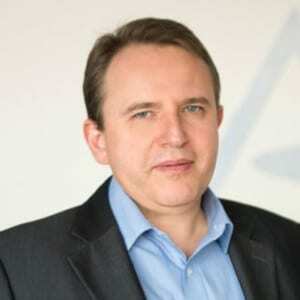 Prior to this, Dirk worked amongst others as System Architect at AGFA Healthcare and as Project Manager at Xeikon NV. 10000 connections at the same time. Nowadays, Twitter gets 300000 requests per second. There is only one path to sustainability : avoid the so-called commodity magnet. New products are -after some time- pulled to this virtual magnet which increases cost, and reduces income for these products. To avoid this, every company has to continuously invest in Innovation to bring new products to the market place. So, how can one innovate ? What are the secrets to stay ahead of competition ? Why are many companies not able to grow using innovation ? What is the secret to come to the Eureka moment that will push the organization and its employees up the ladder? 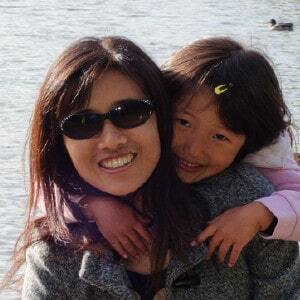 Emily Jiang is Liberty Architect for MicroProfile and CDI in IBM. 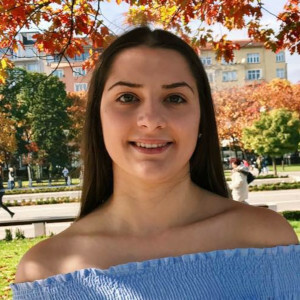 Based at IBM’s Hursley laboratory in the UK, she has worked on the WebSphere Application Server since 2006 and is heavily involved in Java EE implementation in WebSphere Application Server releases. She is a key member of MicroProfile and CDI Expert Group, and leads the specification of MicroProfile Config and Fault Tolerance. Emily is also Config JSR co-spec lead. She regularly speaks at conferences, such as DevNexus, CodeOne, JAX, Voxxed, Devoxx US, Devoxx UK, Devoxx France, and EclipseCon. Ever wondered what makes a cloud-native application “cloud-native”? Ever wondered what the unique challenges are and how best to address them on fully-open Java technologies? In this workshop, you’ll learn what it means to be cloud-native and how that impacts application development. 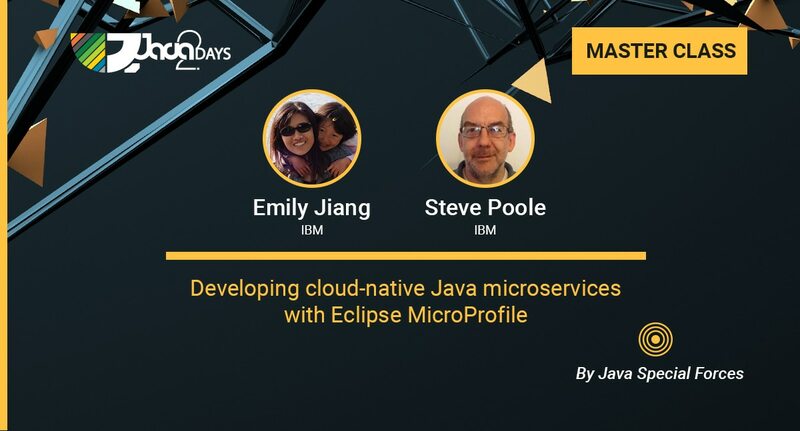 You’ll learn about Eclipse MicroProfile, an industry collaboration defining technologies for the development and management of cloud-native microservices. 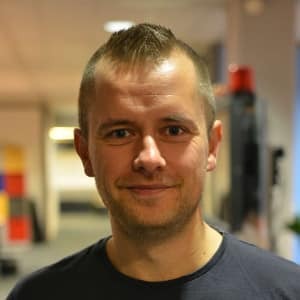 With a full set of MicroProfile workshop modules available to you, you’ll be able to start with the basics of REST services and progress to more advanced topics, or you can jump right in and develop secure, fault tolerant, configurable and monitorable microservices, plus utilising OpenJ9 for memory reduction. Planning to build microservices? The best practice of building a first-class microservice is to follow 12-Factor app. But how to fulfill the 12-factor app rules, e.g. how to achieve externalise the configuration, fault tolerance, etc? Come to this session to build a 12-factor microservice using MicroProfile programming mode with live code demo. Java has finally shipped with modules! You’ve attended presentations and read articles about Java 9 modules, but how do you actually go about modularizing an application? This session will present a practical example in which an application is modularized. Application architecture, dependencies, and tooling will be covered. Hopefully this will give you a better idea of what is involved in modularizing an application and the benefits it provides. 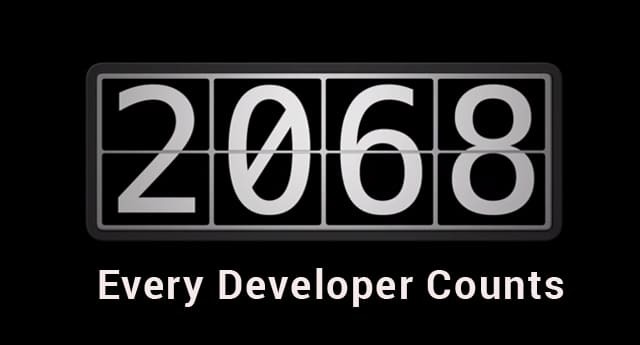 Contexts and Dependency was introduced in Java EE 6 and has since become a core technology. 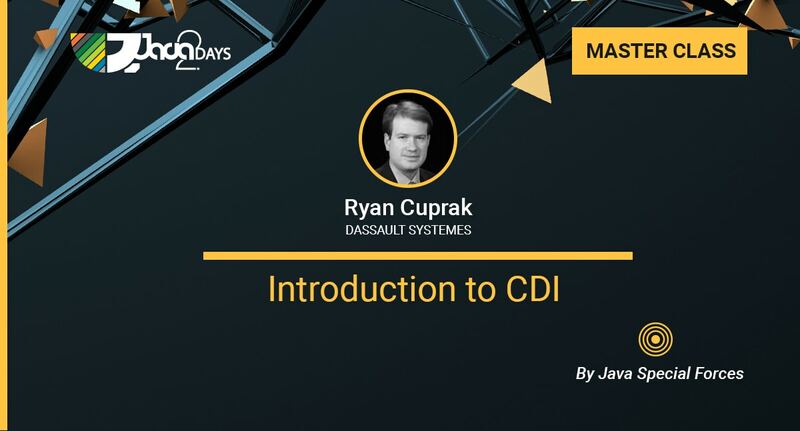 This lab will cover the basic features of CDI 1 and 2. Everything from injection and scopes to decorators, transactions, concurrency, and testing will be covered. With traditional software unit tests, there’s never a guarantee that an application will actually function correctly in the production environment. And when you add microservices, remote resources that are accessible over a network, into the mix, testing is more tricky. To make things even harder, microservices typically need to collaborate with additional network-based microservices, making testing even more challenging. Moving to microservices implies a change in the mindset of developers, so will using old testing techniques with new architectures still work? In this session, you’ll learn test strategies that solve the most common issues likely to be encountered when writing tests for a microservices architecture. 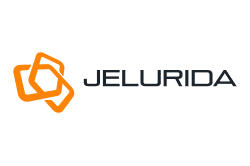 We will look at how tools such as Arquillian, JUnit, Docker and techniques such as service virtualization, consumer-driven testing and testing in production with Istio can aid in accomplishing this task. New languages bring new ways of thinking and teach us new principles and tools that we can bring back to your day to day language. Using a real application as an example, we will learn how to build and design Java applications that follow Clojure’s functional principles using just core Java, without any libraries, lambdas, streams or weird syntax; and we will see what benefits those functional principles can bring. No Clojure or functional programming knowledge required, just plain old good Java. Brian is a Software Engineer at Blue4IT working consultancy based on all sorts of Java projects for the Top-100 companies in the Netherlands. He is passionate about Java, (Pure) Functional Programming and Cybersecurity. 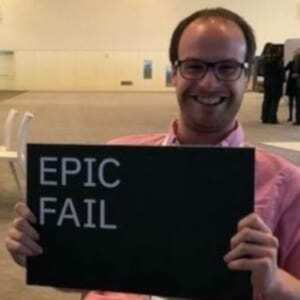 He is a regular conference speaker on events like JFall, JBCNConf, Oracle Code, Devoxx, JavaZone, JFokus and JavaOne. Besides being an engineer he is a Reservist at the Royal Netherlands Air Force and a Taekwondo Master. Data is the new gold. Security problems and data leaks are getting more and more attention in the media. Privacy and integrity of your clients (personal) data is more than a hot topic. Are you as a developer prepared?! On the other hand, you could be part of the problem as well. So, how secure are you and how secure is your work. In Java 8 functional style programming was introduced in Java. Java 9 extended this with some nice new features. For many people it is hard to grasp the idea of functional style programming after so many years of purely working in the imperative OOP style. The opportunities Java gives us out of the box are massive, but with great power comes great responsibility. Brian points out common mistakes that are made when integrating functional style programming in your every day Java project and how to prevent this. This way you can write better, cleaner and more readable code. But even more important, you will be able to utilize the functional code constructions in Java 9 to it’s full potential… and maybe, you even start to like it. Sometimes you have to join the Dark Side – temporally. Writing documentation and preparing presentations as software developer is bad enough but using Microsoft Office makes it unbearable. Be real – BLOBs shared over email, file system and/or Slack is a thing of the past. We want our stuff text-based and version controlled but sometimes Markdown does not cut it. But help is near – learn how to get an efficient work-flow using Sublime & Maven to generate beautiful PDFs and reveal.js presentations. You think of using Gatling to run performance test? But got confused with Scala, DSL and documentation? This presentation shows how to write Gatling tests in your IDE, execute them on the command line and push them into your CI server of choice. 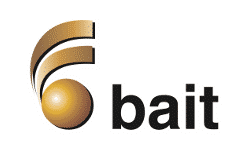 Afterwards we discuss a few of Gatling’s feature such as injection profiles, scenario implementation, test configuration and last but not least debugging your Gatling scripts. Steven Lauwereins was born in Leuven, Belgium in 1990. He received the B.S. and M.S. degree in Electrical Engineering from KU Leuven, Leuven, Belgium in 2011 and 2013, respectively. 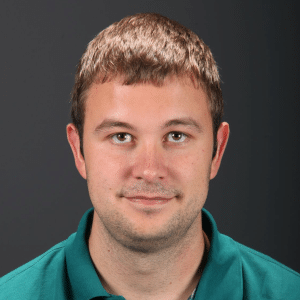 From 2013 until his PhD graduation in 2018, he was a research assistant at the ESAT-MICAS Laboratories of KU Leuven focussed on ultra-low power IoT sensor nodes through efficient machine learning hardware. 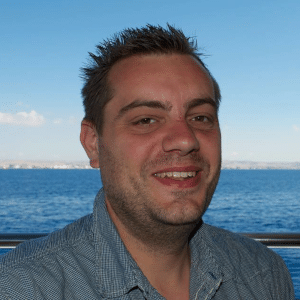 Since 2018, he is research lead at Televic Rail, Izegem, Belgium. moving more and more towards a microservice architecture. hosting has found a strong penetration in the market. synchronous rise in the market. I am a software engineer with 18+ years experience in various projects. I met Java in 2000 in the form of J2SE 1.2. But my hello world “application” was written in BASIC long before. 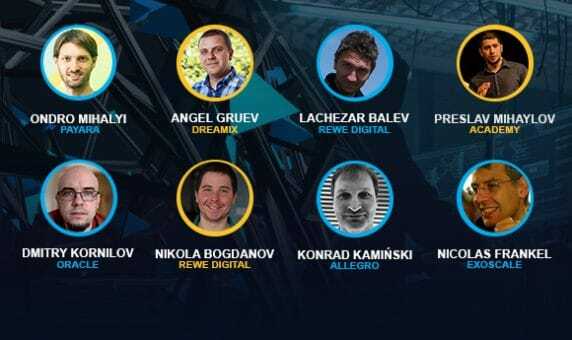 Currently I work at REWE Digital Bulgaria on an exciting Microservice oriented architecture. I love to experiment, peek under the hood of popular open source frameworks and build usable and reliable software. You can meet me at Stack Overflow, GitHub, and some smaller online communities. In my free time I love riding my motorbike around the country (but I never leave my laptop behind). Kafka. Usage in an event driven architecture. The topic includes basic and gentle introduction to Apache Kafka bundled with a live demo. For those that love to experiment and make their hands dirty. There will be a GitHub project including a dockerized infrastructure – Kafka and Zookeeper. All this will be followed by some real world Kafka stories from the kitchen. 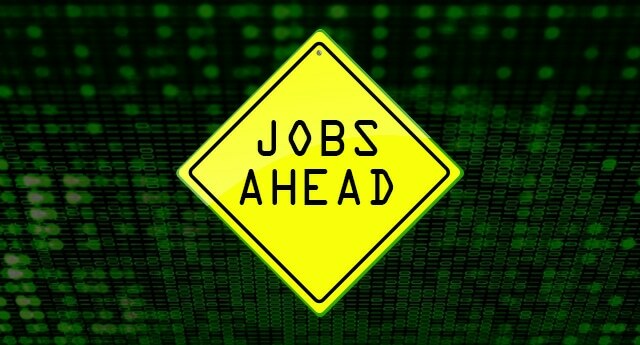 Software engineer with over over 20 years of experience in design and implementation of complex software systems, defining systems architecture, team leading and project management. Oracle employee, EE4J Project Management Committee member, JCP Star Spec Lead, JSON-P/JSON-P/Yasson projects lead. 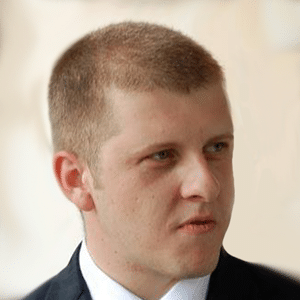 Konrad is a software engineer at Allegro, a major Polish e-commerce company. He has 20 years of experience in the IT industry in various roles (mostly as a developer and a technical leader) in software companies. He spent the last 17 years of his career with Java-related technologies. For the past 2.5 years he’s used Kotlin as my primary programming language (with delight). 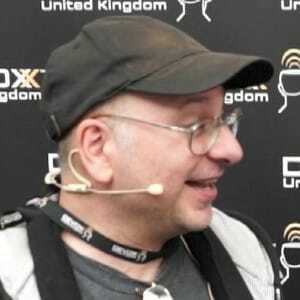 He blogs a bit, gives talks and contributes to open source. Coroutines is a new feature in Kotlin. 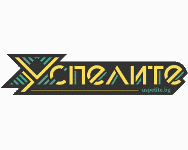 It allows for writing asynchronous code almost just like if it was regular/synchronous. This makes coroutines a great alternative to existing approaches for writing asynchronous applications. In this session, I’ll show how coroutines work in Kotlin. You’ll learn about new syntax and implementation details. You’ll find out about the differences between coroutines-based and reactive-based solutions. You’ll also see a sample Spring-based application which uses coroutines. In the latest years, there has been some push-back against frameworks, and more specifically annotations: some call them magic. Obviously, they make understanding the flow of the application harder. It’s called functional, because it moves configuration from objects to behavior. This talk aims to demo a step-by-step process to achieve that. In the end, the demo application will run without any annotations at all using only declarative configuration, thanks to a new initiative called Spring Fu. Securing the JVM – Neither for fun nor for profit, but do you have a choice? Consider a Java application in a private banking system. A new network administrator is hired, and while going around, he notices that the app is making network calls to a unknown external endpoint. After some investigation, it’s found that this app has been sending for years confidential data to a competitor (or a state, or hackers, whatever). This is awkward. Especially since it could have been avoided. By default, the JVM is not secured! Securing the JVM for a non-trivial application is complex and time-consuming but the risks of not securing it could be disastrous. In this talk, I’ll show some of the things you could do in an unsecured JVM. I’ll also explain the basics of securing it, and finally demo a working process on how to do it. Vlado is writing code for quite some time and still enjoys it a lot! 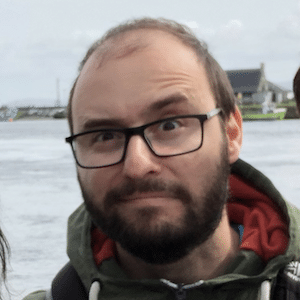 He is a Senior Software engineer in REWE Digital and has 10+ years of experience in writing awesome java code and is yet curious for new learnings. Self-organizing scrum teams are just not enough! As per the Agile Manifesto “The best architectures, requirements, and designs emerge from self-organizing teams.”, which is true. According the Conway’s law it is also true the opposite, every great team and working smooth is not possible without great architecture. Microservices and practices like DDD, Event sourcing and CQRS are the answer of enabling the Agility. In REWE Digital we have learned a lot from these practices and we want to share the lessons learned, showing also some real examples, of course everything is Java based. The whole stack is super impressive, we use Spring boot, Apache Kafka and many more. 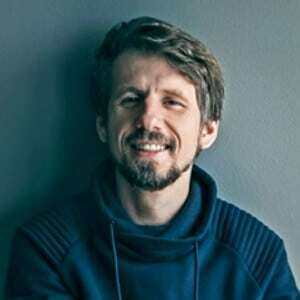 Alexey has more than 20 years of programming experience (mainly with Java stack). Now Alexey is an engineering manager in ATTRAQT – an international eCommerce company with offices in London, Sofia and Amsterdam. To be a manager does not mean to become less technical. It means that additional know-hows and energy are required to help teams of skilled professionals to be effective and evolving. No wonders. Even at scale. So, your system is well designed and thoroughly tested. It should run in production smoothly, shouldn’t it? If only it did! Alas, incidents happen. No spoilers! Come and listen to four real stories of how “wonders” (not to say “nightmares”) which occurred in the production systems got investigated and how they have driven design or process improvements in our company. 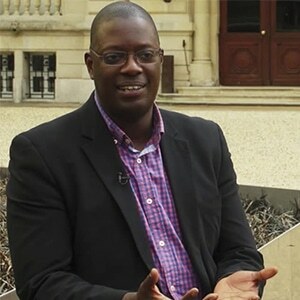 Edwin is currently employed as Software Architect at Ordina JTech in the Netherlands. 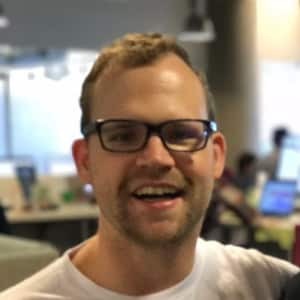 He has a passion for cloud driven development and serverless architecture. 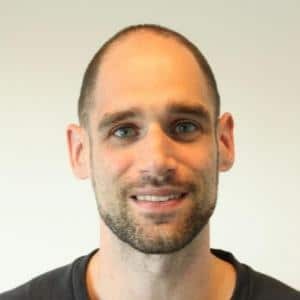 His career started in 2007 as a Java developer after graduating at Fontys Hogescholen in Eindhoven, also in the Netherlands. 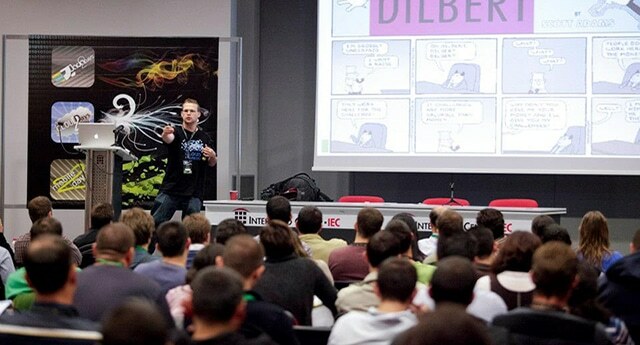 Aside from realising projects, he is often busy sharing knowledge at schools, meetups and conferences. Cloud environments provide everything you need to develop a conventional application as a Service, completely obscuring the underlying infrastructure. This style of software development is called ’Serverless’ development. 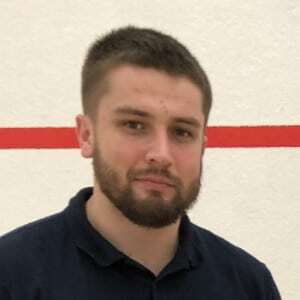 Nikolay Stoitsev is a software engineer at Uber where he builds scalable and fault-tolerant backend distributed systems. The projects he is working on allow 2 million people around to world to earn money on their own schedule. 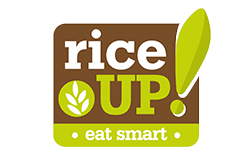 They serve a community spread over more than 600 cities across 77 countries. In today’s world it’s no longer enough to build systems that process big volumes of information. We now need applications that can handle large continuous streams of data with very low latency so we can react to the ever-changing environment around us. To efficiently handle such problems we need to deploy a stream processing solution. During the talk we’ll explore one of the most popular frameworks for stream processing – Apache Flink. We’ll see what unique capabilities it provides and how they apply to some real world problems. And we’ll also explore how it works under the hood and how to get the scalable and fault-tolerant stream processing that Flink provides. I have more than 8 years of experience in software development. I have been working as SAP ERP and CRM ABAP developer. Currently I am working at Televic Group with Java technologies as OSGi, Apache Camel, Blueprint. I have an experience in Google GTFS specification. 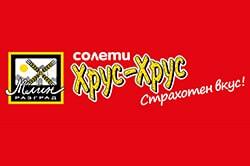 The last project that I am working is Passenger Information system for international rail companies. My interests are in Linux, Java, IoT, DevOps, LXC/LXD, Docker, Ansible, Vagrant. 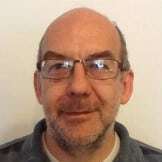 Dr Paul King has been contributing to open source projects for nearly 30 years and is an active committer on numerous projects including Groovy, GPars and Gradle. 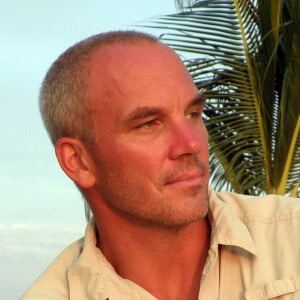 Paul speaks at international conferences, publishes in software magazines and journals, and is a co-author of Manning’s best-seller: Groovy in Action, 2nd Edition. This talk looks at the latest features in Apache Groovy 2.5, and 3.0. 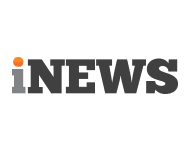 This includes new AST transformations, the new macros feature, the new Parrot parser and a myriad of other new miscellaneous features in the libraries and tools. The talk outlines the roadmap for how the new features are being rolled out and the system requirements for each version including the levels of support for JDK 9+. The talk is example rich highlighting how to use Groovy with other commons libraries and projects. You should attend if you want to hear about the latest happenings with the Apache Groovy language or want to see how it can make you more productive when using other projects in combination with Groovy. I am a software engineer with more than 13 years of working experience in various Java technologies and frameworks. 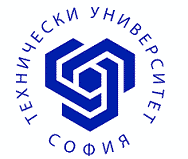 Currently I am R&D engineer at Televic Group. 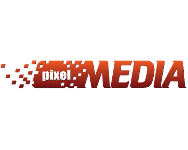 We build sustainable and interactive high-tech solutions that guarantee communications in situations that are critical and essential. Current working project is rail passenger information system for international clients. OSGi is last used technology together with Google GTFS, Camel and Blueprint frameworks. I enjoy to share my experience and learn new technologies together with my colleagues. 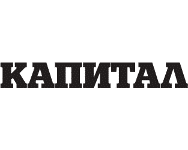 As CTO of Ontotext Vassil maps all R&D plans to the long term vision of the company, prioritize them with respect to the business objectives and coordinate them with the different product owners. 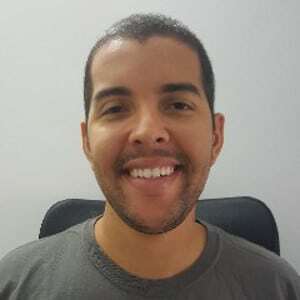 He supervises important architectural solution, organize the DevOps processes and methodology, and develop and maintain the company’s Reference Architecture. Vassil is equally experienced in product development, software architecture, text analytics, linked data, knowledge management, reasoning and large-scale databases. 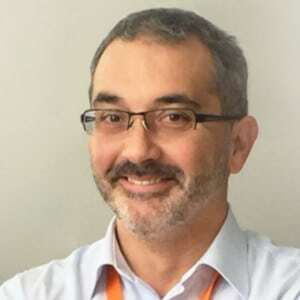 For the past years at Ontotext, he has managed multiple teams, coordinated several EU funded research projects and has a few years as a board member behind his back. The market hype in artificial intelligence (AI) is pushing more and more software vendors to introduce AI capabilities in their products and offered services. 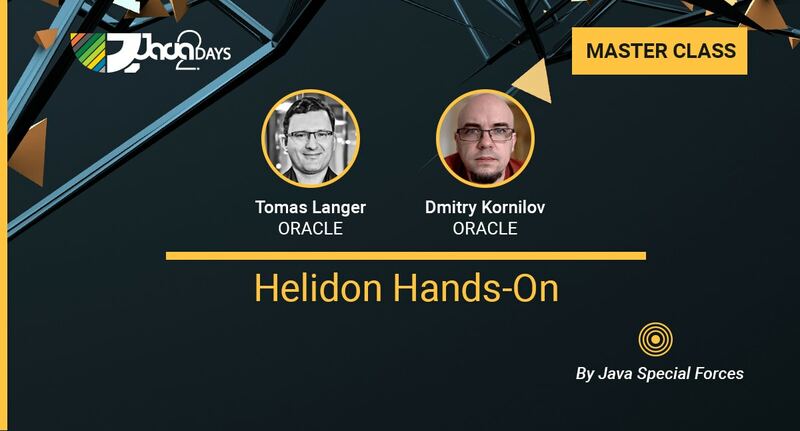 In this talk, I will share interesting technology use cases and my experience in developing intelligent solutions for some of the biggest enterprises. The presentation will cover the areas of natural language processing, knowledge bases, and machine learning. In each domain I will briefly describe the technology challenge, the existing Java software ecosystem with simple to understand code examples. 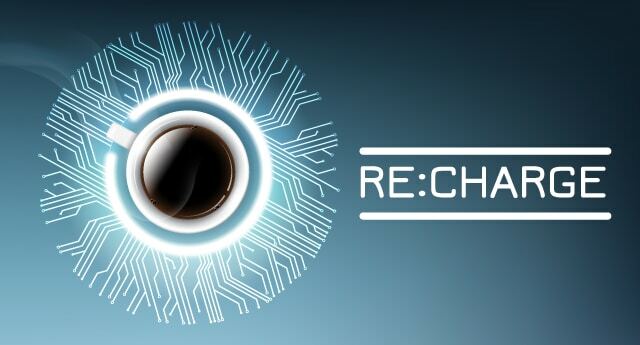 You should join this session if you want to see the high-level landscape of AI technology, the relevant Java libraries and frameworks + simple to reuse code examples. 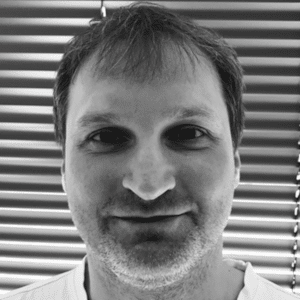 Stanimir has over 12 years of experience in software development and is currently working as a Senior Java Developer at EGT Interactive. His main focus at the moment is on Java EE and concurrency. Stanimir has a wide range of responsibilities within the company. 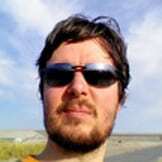 He is leading one of the key development teams and he’s also managing the training program for Junior Java Developers. 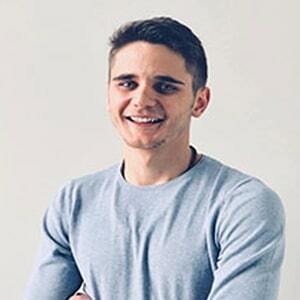 Stanimir has trained and mentored some of the most promising developers in EGT Interactive’s back-end department and is still nurturing and developing new talents. In this lecture, Stanimir will share good practices in the problem-solving process. Based on his personal experience, he would give advice on how to gain the confidence we need, when we are looking for a solution. How to build and analyze a set of alternatives, which approach towards the problem should we choose and many more aspects, regarding the problem-solving process are to be covered by Stanimir. 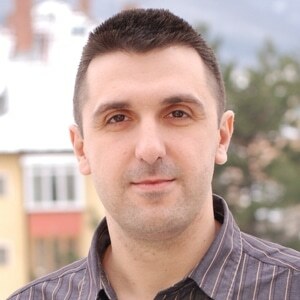 Georgi Atanasov is Director Technology Solutions at Musala Soft. 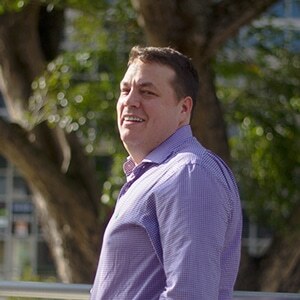 In the last 14 years he has developed, consulted and managed various software projects for international clients. 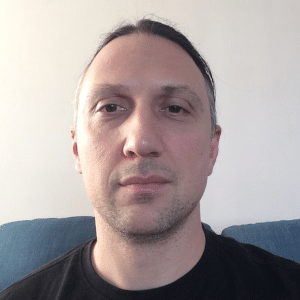 In his current role in Musala Soft, Georgi is responsible for the Software Architecture Practice as well as the DevOps Practice. He is passionate about Java, DevOps and Microservices. For the past 9 months myself and a team of fearless software engineers, devops experts and software architects have been working on a transformation project for a large enterprise. Our goal is to strangulate a monolith enterprise application, developed in the last 10 years into a modern microservice based mesh. I provide a consistent methodology for identifying whether you have a heap memory leak, analysing the memory to identify the leak, and determining the cause. I focus on heap leaks, which are the most common Java memory leaks. Yes, this talk will make you a guru. Developers have a tendency to focus on low-level implementations to handle concurrency, locks, lock-free algorithms, compare-and-set etc. But you shouldn’t jump into any implementation without first deciding which high-level concurrency control pattern is right for the problem. To help you make the right decision, I cover the four common concurrency control patterns that let you safely update shared mutable state: pessimistic locking, optimistic transactions, queue to a single thread, and partitioning the data. Once, long ago, we we looked upon serialisation as an important part of Java. As the years past we began to recognise the flaws in its design and sighed. Today we realise that the story of serialisation has become a dark and twisted tale. In this session see why we still need serialisation, how the inbuilt design is fatally flawed and how it is being exploited and used against us. Learn how to work against the dark arts railed against us and understand how even the alternative forms of Java serialisation can still be open to attack. Does this tale have a happy ending? Can goodness prevail and can you make your application safe from Java serialisation weaknesses? There’s a ton of theory available on DDD, event sourcing and CQRS but how does one get started in terms of code? Moreover, when we have a tight deadline, one wants to solely focus on solving core business problems rather than getting caught up by plumbing non-functional concerns such as snapshotting, command handling, guaranteed events delivery to the right event listeners, events replaying, persisting aggregate, etc. In this talk, we will build an application to see how Axon Framework supports CQRS and Event sourcing by providing a robust implementation for fundamental building blocks such as event dispatching mechanism, aggregates, repositories, event sourcing, Domain Events, etc.to build scalable, extensible and maintainable applications. Furthermore, Axon provides extensive support for Spring which means much of the configuration can be avoided by leveraging Spring’s annotation support. 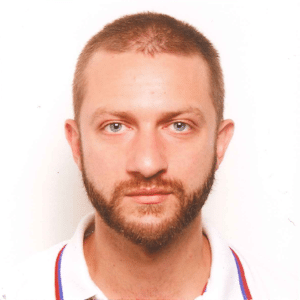 Martin is an IT consultant, Java enthusiast and has been involved in the activities of the Bulgarian Java User group (BG JUG) for the past few years. 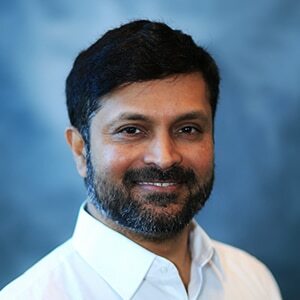 His areas of interest include the wide range of Java-related technologies (such as Servlets, JSP, JAXB, JAXP, JMS, JMX, JAX-RS, JAX-WS, Hibernate, Spring Framework, Liferay Portal and Eclipse RCP), cloud computing technologies, cloud-based software architectures, enterprise application integration, relational and NoSQL databases. You can reach him for any Java and FOSS-related topics (especially Eclipse and the OpenJDK). 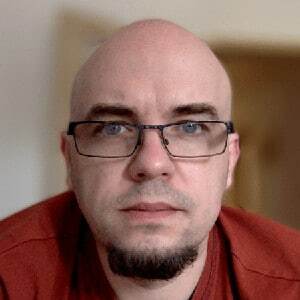 Martin is also a regular speaker at Java conferences and helps with the organization of the jPrime conference in Bulgaria. Security concepts incorporated in the Java platform and major frameworks like Spring, Java EE and OSGi are typically difficult to grasp and understand in depth. The same applies for Java concurrency utilities and a tool called Java Concurrency in Practice was created to address this issue a few years back and following its trail a similar tool called Java Security Animated is aiming to lower the entry barrier to the security portfolio of the Java platform. In this tool we will have a journey in the security world of the platform using Java Security Animated. 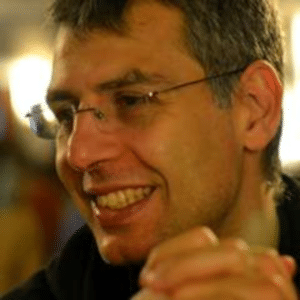 Idea behind the tool is derived with a consent by the creator of Java Concurrent Animated (Victor Grazi) and was presented at Java2Days 2012. 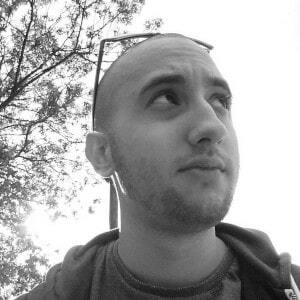 In this session Miihail will present the activities around the Bulgarian Java user group, its past, present and future. 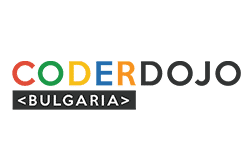 You will learn how to get involved in the Bulgarian Java community. Atlassian Users Group Sofia functions since 2015. It is established thanks to the active support from Atlassian which have realized the importance of supporting the user communities for their products around the world. On our events we strive to create environment where people can share experience and ideas mostly about Atlassian products but any other topics related to IT industry in general are welcome. The groups grows and new people are constantly joining. Currently we have about 200 members. The group has 3 leaders which share the tasks for organizing the group. On our events usually gather more than 20 people. 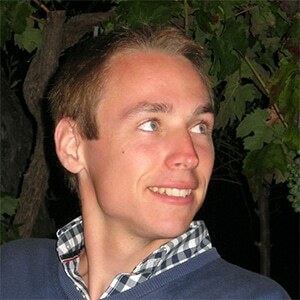 Petar Velikov is one of the people which help with the organization and the life of the group. 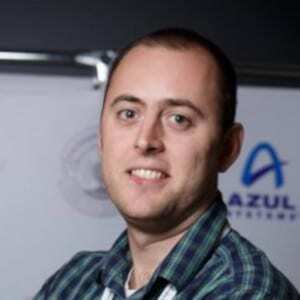 He has many years experience not only with Atlassian products but also with the software development as whole. Alex has been a developer for more than 10 year. Most of that time in Telerik (now Progress) working on products and tools for developers. Currently, he is working on NativeScript and is excited about open source. 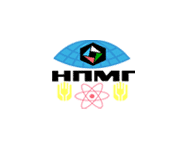 Hе also co-organizes the Angular Sofia meetup, because he believes that if you have spend a whole day of writing dirty hacks – you better spend the evening talking about pure functions with some cool folks. 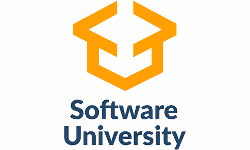 Association of Software Engineers (ase.bg) is a non profit organization that helps professional software engineers with their lifelong learning challenges and achieve software engineering excellence. 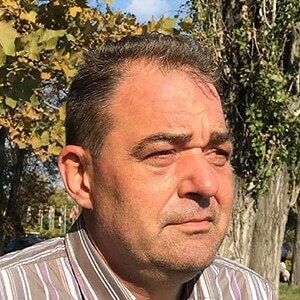 Galin Zhelyazkov is a IT serial entrepreneur. Graduated software engineering and management, global innovation management and entrepreneurship and innovation in Sweden, UK and Australia. Co-founder and founder of a total of 5 companies from different fields. He worked on numerous projects in his hometown of Varna as drive moving theatre, summer cinema in Varna, co-working space Varna beehive.bg, Startup Weekend Varna, Startup Europe Week, Startup Grind and TEDxPlovdiv (in Plovdiv). He is also a mentor to several young entrepreneurs. Cat and Mouse Coworking was formed as a natural extension of the first craft beer bar in Kapana. It is the place for all those creative people who need a slightly more relaxed atmosphere but without going beyond the boundaries of the creative district, where inspiration is literally everywhere. The new concept follows the idea of creating a different social environment and additional climate change in the creative district. Coding Girls is a gender-neutral organization promoting an increased presence of girls and women in the tech, leadership and entrepreneurship. We inspire and empower girls to get in technology and develop a tech-career. Coding Girls delivers a series of worldwide events, workshops and courses. With 1000+ members across the world, we are continuously growing and increasing the number of girls and women in tech. 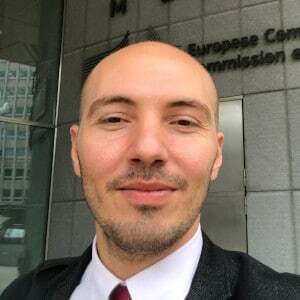 Dimitar Dzhurenov is CEO/Founder at Infinite X Labs – blockchain development & consultancy company based in Sofia. 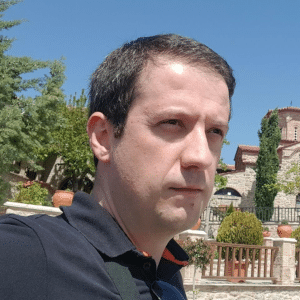 He is also the founder of EOS Bulgaria and one of the most active advocates of EOS in the Bulgarian community. EOS & The Smart Contract Revolution – Why should we pay attention? 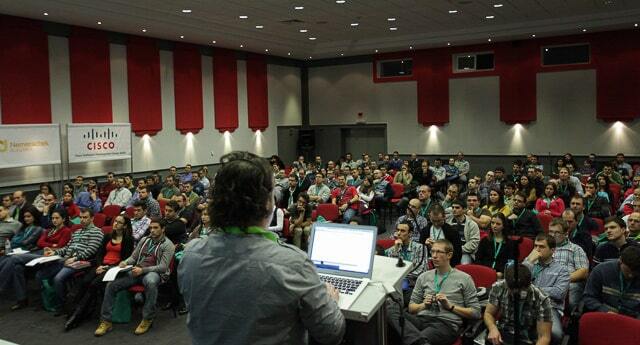 GDG Sofia is а group of enthusiasts that gather around Google technologies. 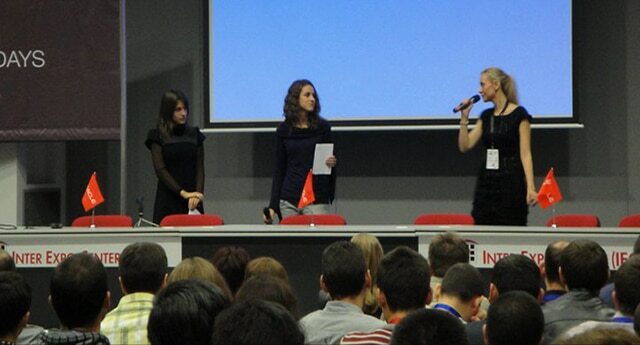 We organize different events – seminars, conferences or just dine outs, and discuss the latests developments. 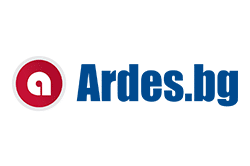 Arjan comes from the world of corporate services and has been a consultant for international business and taxation for many years, while also coding on internal and open source software projects. 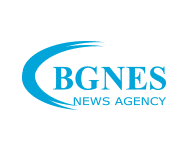 Now with his business domain knowledge and coding experience his company is working on delivering software, which uses modern technologies such as blockchain and self-sovereign identity, for the corporate services sector. 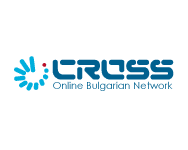 He also (co)-hosts the Bulgarian meetups for Go, Rust, Hyperledger and aeternity blockchain. 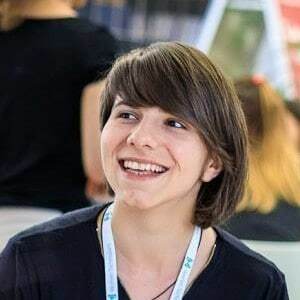 Boris is a senior student majoring in Business Administration and Computer Science from the American University in Bulgaria, currently President of the student technology club – The Hub AUBG. Being exposed to the Liberal Arts system allowed him to broaden his knowledge in fields of IT and business. By immersing himself in challenging environments, he strives to sustain his passion and enthusiasm for never-ending learning while contributing to society. Trevor Workspaces is aiming to build a network of on-demand workspaces, that attract talent and provide “Maker space” infrastructure for hardware builders. WTM is inclusive and welcomes all the people interested in changing mindsets and unbiasing with education, passion and support! Why coworking is the future of work? 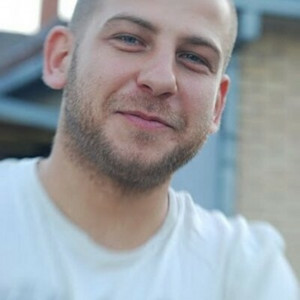 Dimitar is 30 years old hard worker with two kids at home. In the past 10 years he takes part as owner or Product Manager or products involving hardware & software development- Mobile payments, IoT, Home Automation, Industrial solutions and even house and office constructions. 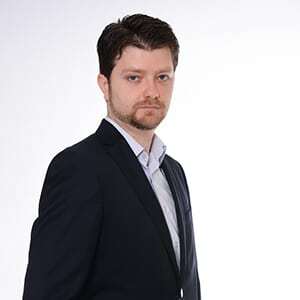 Dimitar is part of projects like Findy, HiGPS, S2our, Balkan Center, Passive Smart House and many others. Irrepressible startup enthusiast, entrepreneur, lecturer, activist at the Programmer’s Club in Veliko Tarnovo. Started in 2013 the Tinusaur Project – an educational platform for learning electronics, robotics and programming. Co-founded in 2007 Interlecta, a product company with offices in Bulgaria and in US that develops products in the field of telemedicine. Stefan, like most geeks, rejected the faith of his parents early in his childhood. Later in life, however, he missed the community support and sense of purpose that religious people enjoy – until he found Pastafarianism. 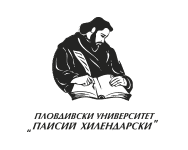 He converted to his new faith in 2009 and has spearheaded the Bulgarian branch of the church ever since. In 2016 Stefan and his now wife became the first couple in Bulgaria (and only 2nd in the world) to have a Pastafarian wedding ceremony, a rite they now recommend for everyone who finds the traditional church wedding boring and misogynistic. 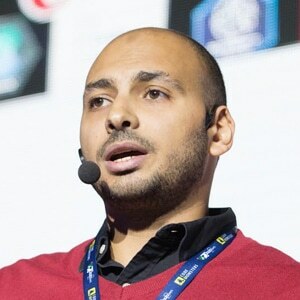 Reza Rahman, the founder of Java EE Guardians, will cover the latest developments in the Java EE arena, and lay out the future scenarios. MicroProfile is the dominant Java Microservices building block, so no talk about Java EE is complete without it. The most common Java performance and memory problems, as reported by developers and operations staff over many surveys, have well understood analysis techniques. Here Jack Schirazi will cover these with free tools and examples, so you don’t have to bang your head against the wall. 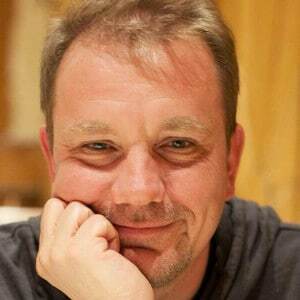 In this talk Steve Poole will cover all aspects of Java Vulnerabilities. He’ll explain why Java has this dubious reputation, what’s being done to address the issues and what you have to do to reduce your exposure. With examples and code this talk will help you become more effective in tacking security issues in Java. The goal of this talk is to raise awareness about application security by identifying some of the most critical risks facing organizations during development. 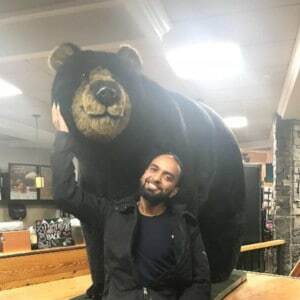 Subho Halder will cover the basics from OWASP top 10 to live demos on different use-case scenarios on how a hacker can hack your application, and how to prevent them. In this session, you’ll learn how to develop APIs with Java 8 and Spring Boot, then deploy them to the cloud. You’ll also learn how to develop apps with the latest version of Angular, make them work offline, and optimize them for production. Matt Raible will show you how to do this all with JHipster. 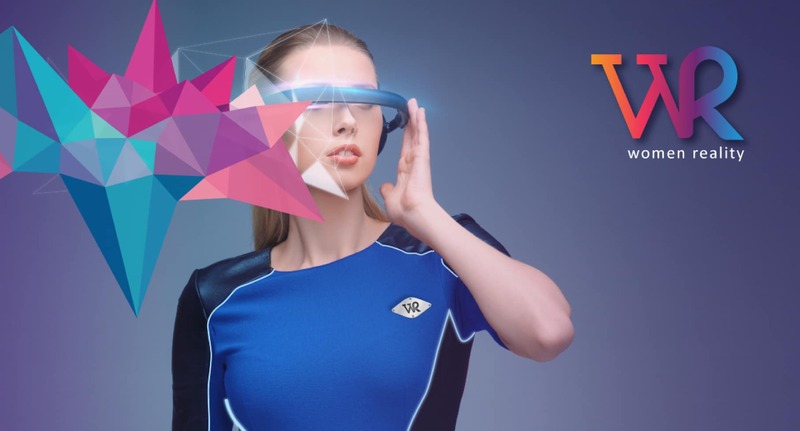 This talk will present the different interaction options for app developers doing AR and VR. 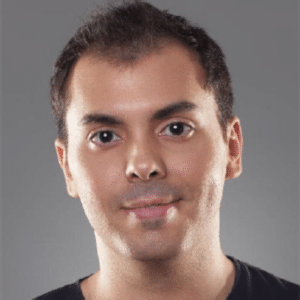 Wajdi Ben Rabah will show you the different ways to develop a parallel experience and show the best practices of interaction in the augmented and virtual worlds under Android. 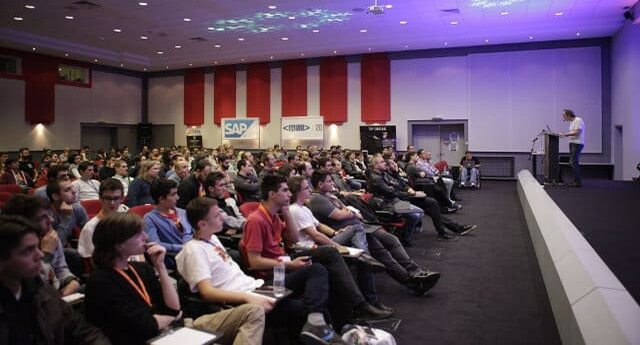 The first edition of Java2Days was held on 8-9 October 2009 in Sofia, Bulgaria. The brand new event brought together top speakers including Reza Rahman, Josh Long, John Willis and many others who presented in front of the passionate Java developers from the region. 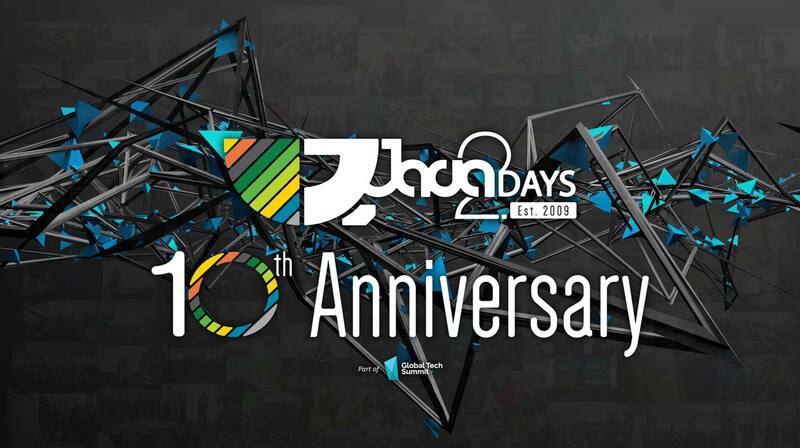 Java2Days is a must-attend event for anyone in the Java development area. 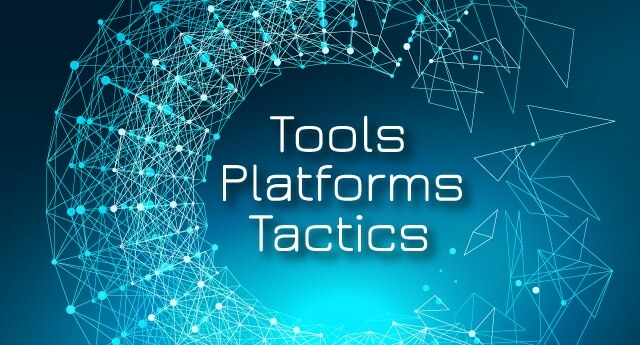 The conference program will include a combination of keynotes, sessions, workshops, discussions led by industry’s top experts as well as social events where developers can meet and learn from their peers. Java2Days 2018 offers the best networking experience for software developers and IT professionals. 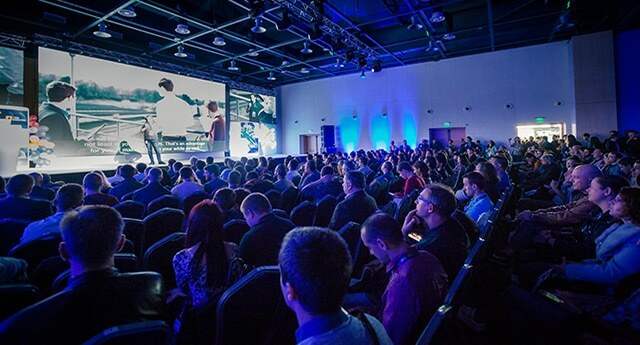 The attendees have the unique chance to speak face-to-face with world leading speakers, Java experts and industry colleagues during the sessions, discussions and social events. 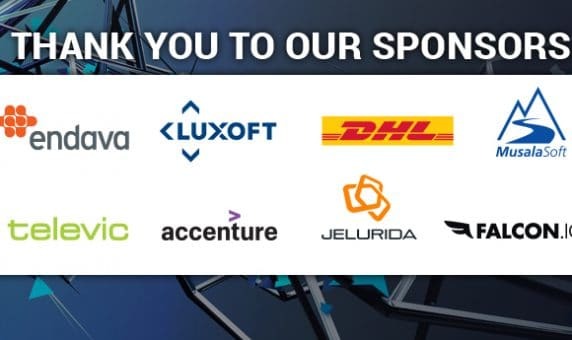 Java2Days is the only software development conference in Europe recognised by the leading business media like Forbes. Java2Days received a special award for “Valuable contribution to the development of the IT environment in Bulgaria” at Forbes Business Awards 2016. 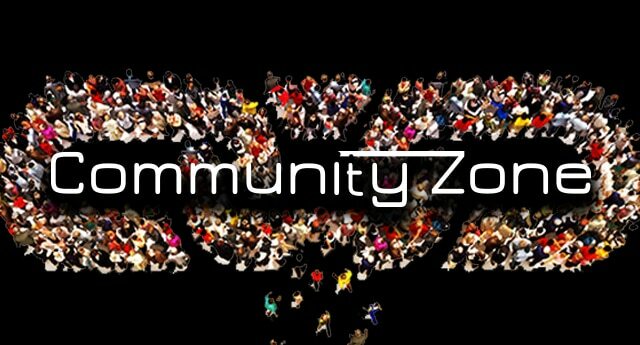 Java2Days is a commercial event, but we do support the community! During the last 9 years the event has been offering more than 300 free passes to regional JUG’s leaders and community members. It also gives a chance to local speakers to present alongside world leading experts. Still not convinced? See the most important reasons to attend.